This really is a fantastic hard rock album that I definitely recommend people check out. Herman Frank has been part of the German metal scene for a long time now, first coming to people’s attention when he joined Accept in 1982. He only stayed with them a couple of years, but then when the band reformed in 2005 he rejoined the band and stayed with them till 2014 when he once again left. As well as releasing five albums with Accept, he’s released eight albums over the years with Victory, several others with various projects, and three solo albums. Now he’s releasing his fourth solo album – Fight the fear. 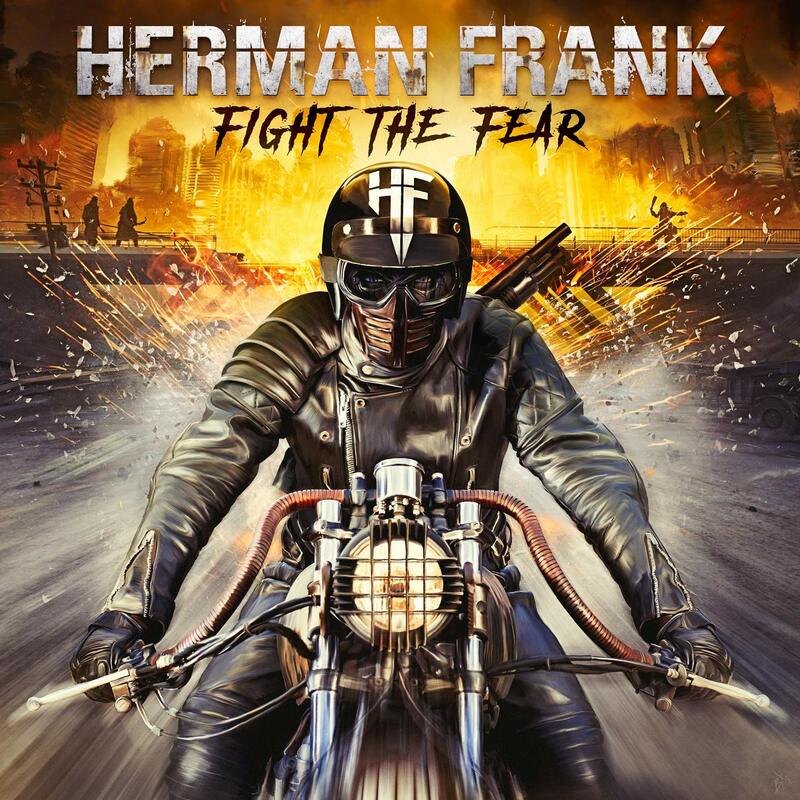 Herman Frank is not just a guitarist – he is also a producer who has produced albums by bands including Saxon, Rose Tattoo and Molly Hatchet, so it’s no surprise that the production on this album is excellent. They all work well together and it really feels more like a band album than a solo album. Rick Altzi’s vocals are perfect for the music and he also wrote the lyrics for around half the songs. It’s a policy Herman Frank has..“I feel that the vocalist should contribute the lyrics, because at the end of the day he’s the one who has to get them across to the audience and fill them with life. That’s the way I’ve been working with Rick since ‘Right In The Guts’ and the result speaks for itself.”. The guitar solos complement the songs nicely – there’s never a feeling of anyone showing off, instead it just feels like they’re doing what is best for the song. The solos are still great but the song is the focus at all times. Check out the video for “Fear” and you’ll get a good idea of what to expect from the album. Having listened to one of his earlier albums (Right in the guts), I was expecting this to be a good album, but it’s even better than I had hoped. This really is a fantastic hard rock album that I definitely recommend people check out.